Messrs I R McDonald; E Watson; J Jamieson; A Freind; T Power; C Ruck. Messrs L Mitchell; F Howard; Misses R Jones; I Hart; M Spencer; I Coppin. Messrs D Genat; G Moignard; K Webb. Misses J Purcher; J McLean; V Jamieson; S Attwell (Acting Matron); Rev J H Watson (Principal); Mr C L Snowball; (Hon Secretary); Misses P Tuckwell; V Hobby; D Evans. Messrs C Jacobson; C Lansdown; J Doble; L Vallance; R Watts. 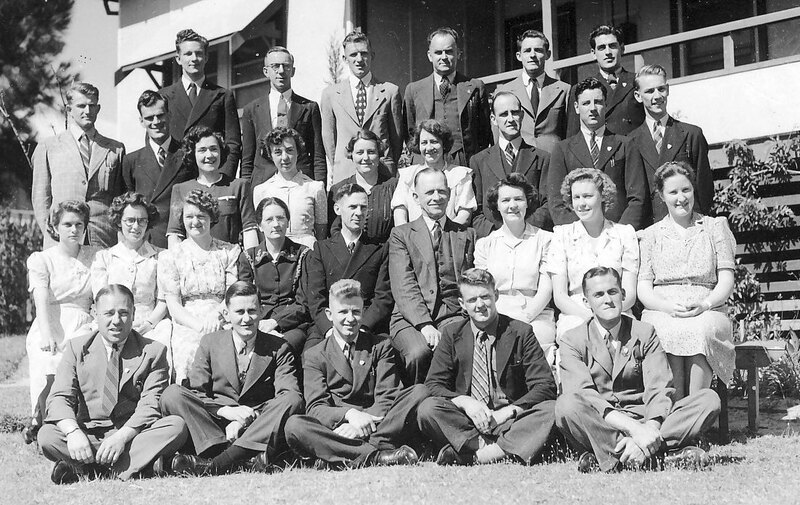 The 19th Annual Meeting of the Perth Bible Institute was held at the Burt Memorial Hall on the 19th July 1947. Some 26 graduates were serving the gospel overseas and 11 were in “home service”.